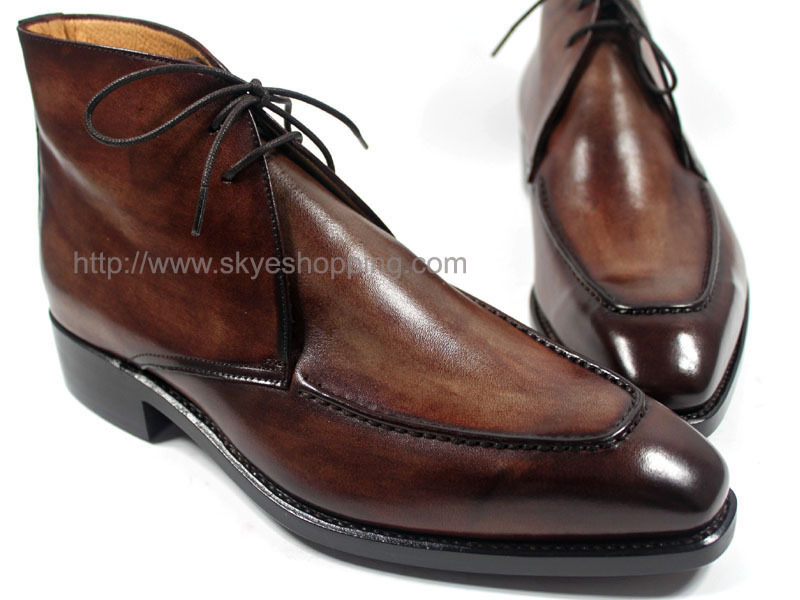 We have dedicated bespoke handmade shoes for over ten years and we have the customers all over the world. We gave the customers in Britain, in Sweden, in Italy, in Canada, in USA and Middle East Dubai etc. too much foot custom-made, lasts mail came by them, and provide us with feet sketches. These experiences we learned practiced and knew how to make the bespoke quality shoes perfect; to make the shoes meet the requirements for gentleman and ladies who pursue comfortable and unique. The practioner Masters in our shoes workshop are in the custom handmade industry for more than 25 years, all the requirements and skills they are proficient and know very well the human foot structure and support points, including the world's scale shoes technology . 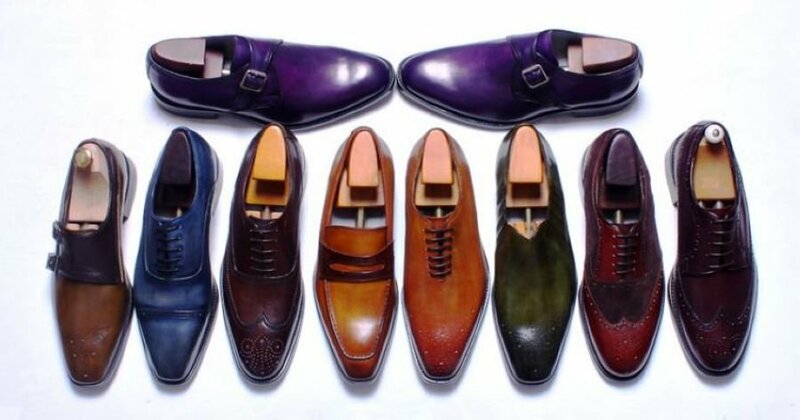 And all of our shoes are made using fetal calf leather and artificial hand coloring, supply you exclusively offers and unique services. 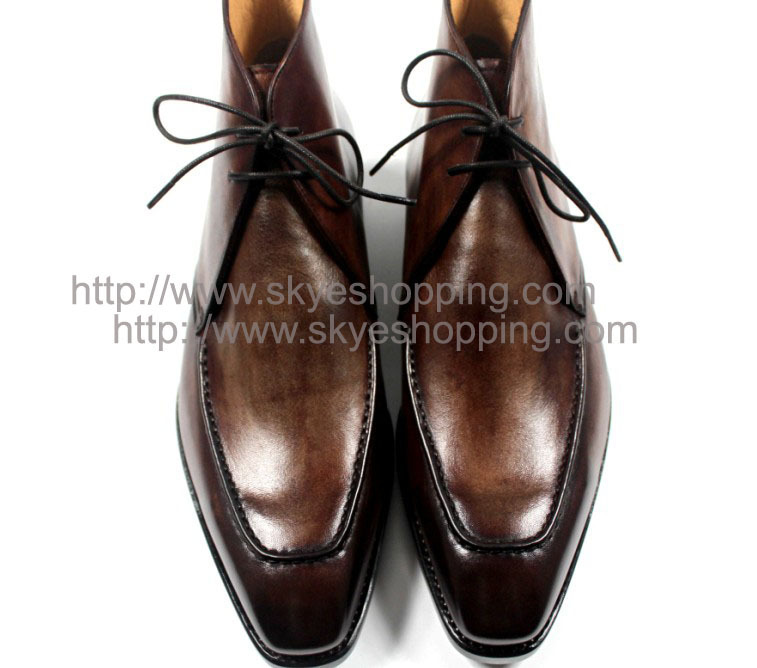 Pure genuine leather was used to be the upper, even the outsole; the lining, the welt and the sock lining were made by genuine calf leather. 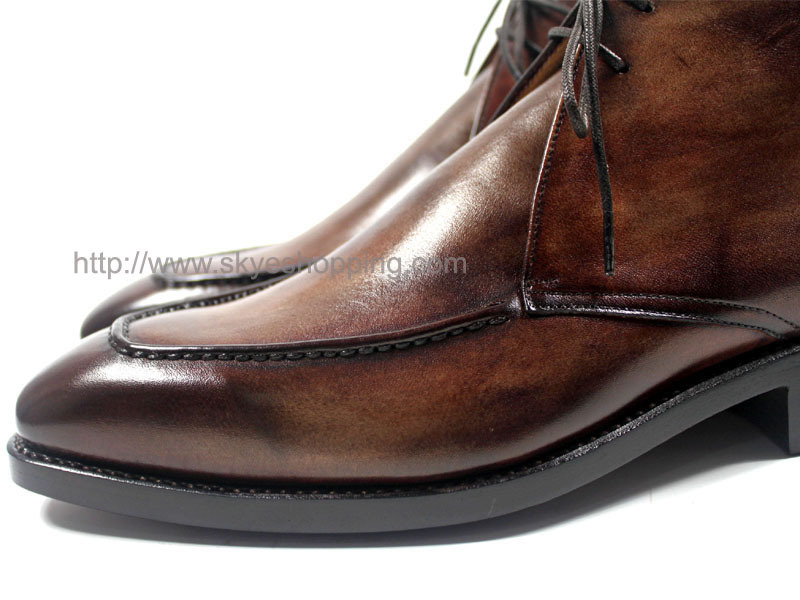 Baby calf leather striate delicate soft, plus all shoes made by hand, so provide the feet breathable and comfortable. Color: Black, dark brown, light brown, Bordeaux (deep wine), august-green, purple, rust, camel, ivory etc., and can choose any color you want, they're hand coloring. Adhesive craft: just as the name implies, put the upper ,welt, outsole together by one kind of special glue for leather, and adopt the processional craft technique to finish it. Mackay craft:line Inside technology, on the basis of the adhesive craft, with a line seaming the upper, midsole and the outsole together, the shoes firm strengthen greatly. Because we're custom handmade shoes, so after ordering please help to extend the delivery date according to the processing time.Otherwise I have to put the tracking No. online before shipping,to avoid the order be cancelled automatically.Thanks. 1. Retail: You can choose the model from our shoes store, you pro-vide the picture what you prefer, which download from internet or the magazine. 2. Wholesale: When you order 5-10pairs or more per style in our store, online you'll get the reasonable wholesale price. We also accept mix-orders. 3. If you have any doubt for the model, colors, pictures etc., do not hesitate to contact us by message or mail (you can find it in contact column. Note: To make sure you can choose a right size, please have a look at the size conversion before you place the order. If you choose the size not satisfied and you want to exchange a new one, you should pay the both ways shipping fee or we can refund part of money back to you if you send the shoes back . All items will be shipped in about 20-30 days upon receipt of payment . It takes about 6-12 days to ship to the countries : United States Europe, Asia or other places worldwide. Payment methods available in include: Escrow, Credit card, T/T(Bank Transfer), Western Union. When you put the items into cart and checkout, you can go ahead with payment method you prefer. Please leave us a positive feedback after the transaction finished, if you are satisfied with our shoes and our services. It would be our greatest achievements and happiness. If you are not sastified with our shoes, Please contact us before you leave us negative feedback, communication can solve 99.9% of problems, we care every single customer. Thanks a lot! Free Exchange: A sign or wear, outdoor, wrinkles on the shoes will avoid the return/exchange. unless we send wrong shoes or wrong size. And we will resend the shoes Free shipping .